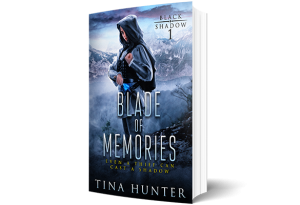 I’m so pleased to announce that “Blade of Memories” is eligible for the 2019 Epic Fantasy Fiction Reader’s Choice Awards! Any book receiving 100 nominations before June 30 will make it on to Round 2 and be eligible to win an EFFy! My baby book is already at 50 nominations – I’m halfway there! So, if you REALLY want to help me out, you can share a link to the nomination page or this post to help me get more nominations! Round 2: Readers who volunteer as judges will read, rate, and review two books (which they’ll get free) in July. The top 16 rated books will make it to the Quarter Finals (and the best reviewers will be selected as Finalist Judges)! Round 3: The Finalist Judges will get to read, judge, rate, and review the Quarter-finalist books… and the highest-rated books will win AWESOME stuff, including cash, a big fancy trophy, some great promotional tools for their books, and the right to tout their victory in the 2019 Epic Fantasy Fanatics Readers Choice Awards! And in case you are interested, they are still accepting applications for judges. It’s a pretty sweet gig. My book is eligible for an award. Please nominate my book so I can have my book judged and have a chance to win. PLEASE PLEASE PLEASE!! !